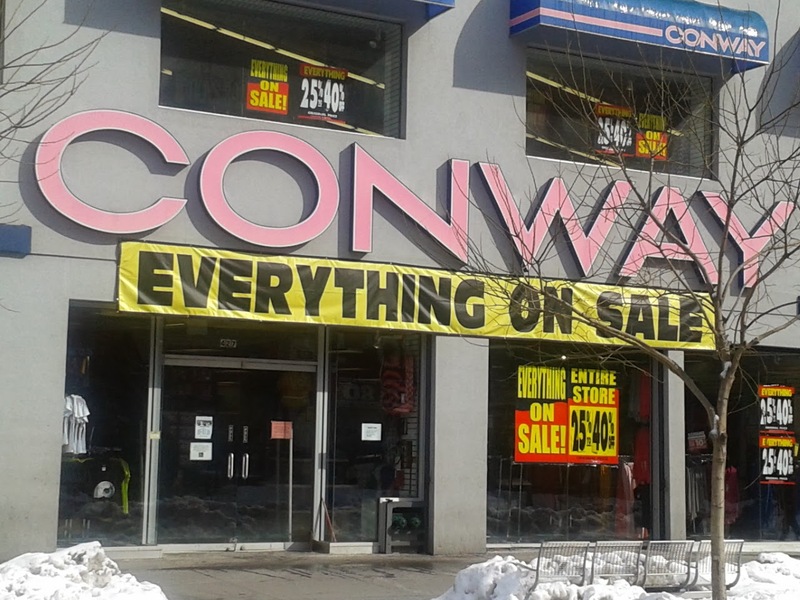 As recently reported here on Everything She Wants, Conway stores are closing in New York City. We've learned the 70-year-old chain has also closed its stores nationwide. 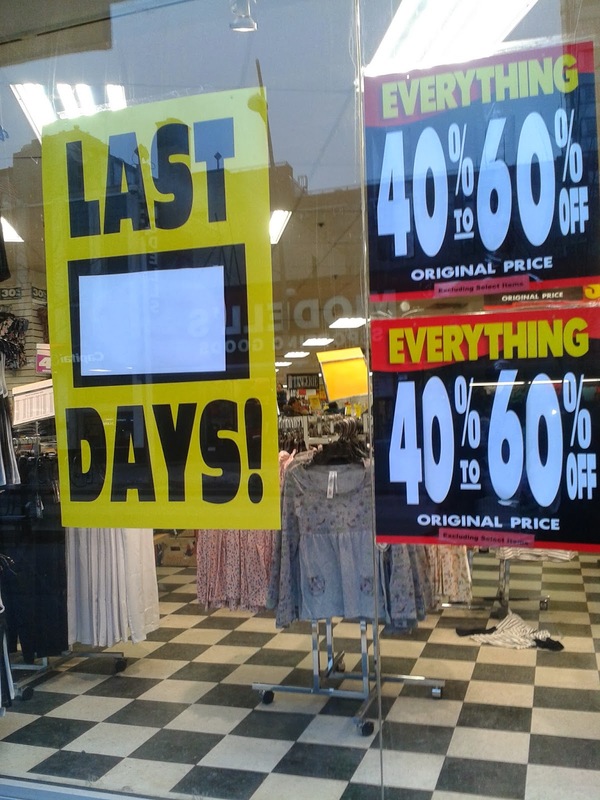 A couple weeks ago, we asked if the last holdout in downtown Brooklyn's Fulton Mall was also down for the count, and many of the employees seemed clueless, despite the fact that the writing was literally on the wall (everything in the store has been on sale since February). But now it's official. The Fulton Mall store is shuttering on Saturday, March 15. Most items are 50% off, and many are $4 or less. We checked out the store last night and there were still plenty of bargains to be found. *Update: After closing for a short period, the store in downtown Brooklyn's Fulton Mall has re-opened under new management. 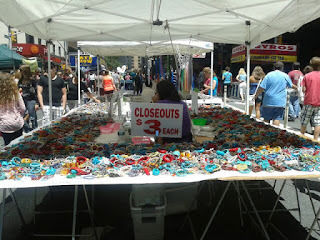 The merchandise, however, pales in comparison to the discount store's former stock. After a few months still masquerading under the Conway moniker, the store changed its name to Fallas. But with the rebranding of the Fulton Mall with mainstream retailers like H&M, Old Navy, Nordstrom Rack and Gap and Banana Republic factory stores, we predict Fallas won't last five years.